The Durban International Convention Centre has been a winner since 8 August 1997 when South Africa’s first democratic president Nelson Mandela cut the ribbon. It is perhaps significant that Durban ICC celebrates its 21st anniversary in the year that also marks 100 years since the birth of our beloved Madiba. From a seed sown during the days of racial division and hatred, Durban’s International Convention Centre took root and has spread into a mighty tree that espouses global harmony, equality, health, wellbeing and development. The story of the Durban ICC is one of foresight, vision, co-operation, endeavour, bravery, patience, and above all, triumph. “It is a story that the eThekwini Municipality and the citizens of Durban can be justly proud of,” says Eric Apelgren, head of International and Governance Relations at eThekwini Municipality. He said in the late 1980s, the idea of building an international convention centre in Durban had been mooted but was shot down by opposing forces at City Hall. “It was during pre-democracy days and there were serious differences between the various political parties represented on the city council. This was stifling growth and advancement. “It took the courage and far-sightedness of a group of civic-minded individuals who formed Operation Jumpstart to kick-start development in the city and region. “This brought together role players from all sectors of the community who were only united in the shared belief that Durban deserved better,” said Apelgren. The chief architect of Operation Jumpstart was successful businessman Terry Rosenberg who traversed the length and breadth of KwaZulu-Natal convincing politicians and business leaders to throw their weight behind an international convention centre in Durban. “We were all enjoined by a common vision: to make Durban the oyster of the world. In order to attract revenue, Durban needed a catalyst project that would promote tourism, create meaningful employment and boost GDP. “It was no easy walk in the park for those who saw merit in the proposal to build an international convention centre – there were the detractors who regarded the envisaged project as a waste of money that could be put to better use. “However, by convincing the city fathers of the knock-on effect of convention centres in other parts of the world which stimulated the local economy and development, the city council approved the proposal and the first phase of the development commenced,” said Rosenberg, adding the Durban ICC symbolised “a crucible for democracy at work”. He said there were many people who worked tirelessly to make the Durban ICC project a reality and one must not forget the contribution made by, amongst others, Gordan Hibbert, Mike Sutcliffe, Sharm Maharaj, John Bhengu, Jeff Radebe, Pravin Gordhan, Wally Meyer, Andrzej Kiepiela, Margaret Winter, Sbu Ndebele, Mzi Khumalo, Thami Mohlomi, Richard Moore and Alec Gilbert. 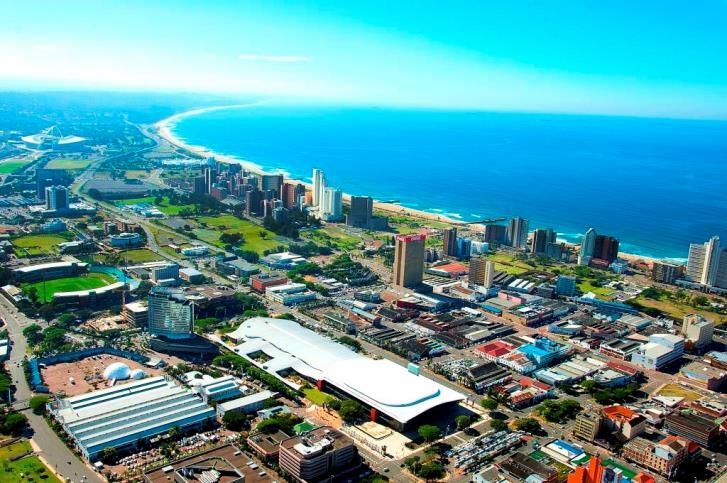 In lobbying for the project, Gilbert who was Durban’s director of Urban Development in August 1994, said the convention centre alone will “attract a new breed of big-spending super-tourists to the city” and will create “at least 1100 new jobs within the tourism industry alone”. “It will give the thrust needed to revive and expand Durban’s depressed and lacklustre hotel industry. establishing countless opportunities for self- employment and self-entrepreneurship, from low-skill to specialist,” said Gilbert. The design chosen provided a flexible multi-purpose venue accommodating a variety of demands for international, national and local events. The initial design of the venue provided for plenary sessions of 1800 delegates whilst accommodating flexible multi-purpose facilities for up to 5000 delegates. Today the Centre can accommodate events of up to 22000 attendees. November 1994 saw the turning of the first sod for the construction of the Durban ICC by the then Premier of KwaZulu-Natal, Dr Frank Mdlalose. Throughout construction there was strict adherence to the creation of opportunities to develop emerging contractors and sub-contractors from previously disadvantage communities. The new eye-catching building was opened in 8 August 1997 by former President Nelson Mandela, who praised Durban for having “the foresight, determination and initiative” to build the ICC. In his launch address, Mandela said: “The decision to proceed with the plan was an investment in our democratic future in more ways than one. “It was taken when the former Durban City Council and representatives of non-statutory organisations came together, to lay the basis for a transition to non-racial government. “They shared the conviction that South Africans could and would create a normal society. And they agreed that urgent steps would be taken then, rather than later, to help ensure a more prosperous future for all who lived in the region. “Many who helped form the ground-breaking consensus are with us tonight. They continue to work for a new and prosperous society, some as democratically-elected representatives in national, provincial and local government and some in the local business community. “They are here tonight, and all of us are here to join them in celebrating this special occasion. They are a tremendous force of example within our society and we salute them. Since then the Durban ICC – which was later named after Africa’s first Nobel Peace Prize Laureate, Inkosi Albert Luthuli – has welcomed kings, queens, presidents, bishops, actors, icons and entertainers and has hosted some of the biggest, most high-profile conventions in the world. To cater for increasing demand the Durban ICC was expanded with the opening of the Durban ICC Arena in March 2007, transforming the centre into the largest flat floor, column free exhibitions and meetings space in Africa. 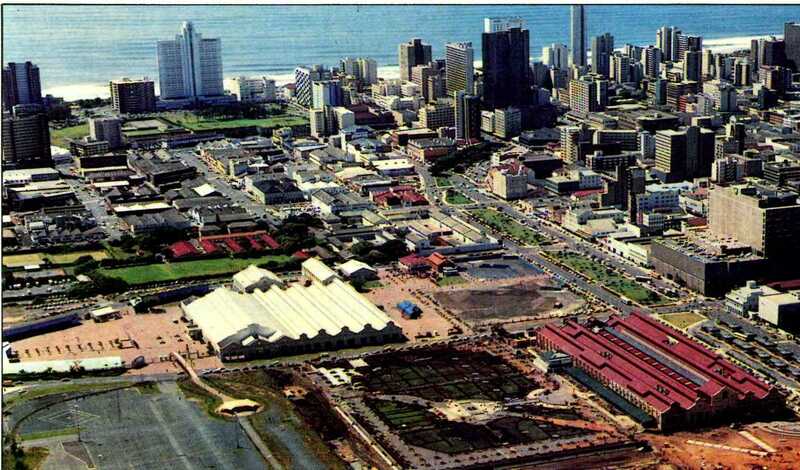 Kiepiela who was closely involved in the development of the Durban ICC since its inception, said various pockets of land, including the site of the old Durban Central Prison, were incorporated for the conventions venue. He said Radebe who was then the ANC southern Natal chairman, had been a “frequent visitor” at the prison because of his political activities. He said Radebe, who is presently Minister of Energy, had successfully appealed for a short section of the prison wall and two guard towers to be preserved as part of the new development in memory of those prisoners of conscience who had been incarcerated for their political beliefs and for their participation in the liberation struggle. Kiepiela said the immense successes of the Durban ICC in the past 21 years bear testimony to the excellent management teams that had been put in place, including the various CEOs: Peter Brokenshire, Alec Gilbert, Miller Matola, Julie-May Ellingson, and Lindiwe Rakharebe. Durban ICC has hosted important global conventions, including, among others, the World Economic Forum on Africa, 21st International AIDS Convention, COP17/21, Tourism Indaba, 5th BRICS Summit, 14th World Forestry Congress, Africa Peace Awards, 21st World Routes Development Forum, Global Forum for Innovations in Agriculture Africa 2015 and transformation of the Organisation of African Unity (OAU) to the African Union (AU). It has won the coveted title of “Africa’s Leading Meetings and Convention Centre” 16 times in 17 years of participating at the World Travel Awards since 2001 and the 10th year in a row to be honoured with this accolade. It is also ranked in the Top 15 Convention Centres in the world by AIPC which recognises Excellence in Convention Center Management. The Durban ICC has been responsible for creating and sustaining over 93 000 jobs cumulatively. In the past financial year, a total of 11 024 people have been meaningfully employed as a result of the Durban ICC’s activities. In 2017, 7 991 people were employed directly and a further 3 033 people were employed indirectly as a result of events hosted at the centre. Rakharebe, the current CEO, said: “With its present size and configuration, the Durban ICC is poised to further evolve into one of the world’s top 10 global meeting facilities. The next evolutionary growth cycle will usher in a series of revolutionary and innovative strategies.